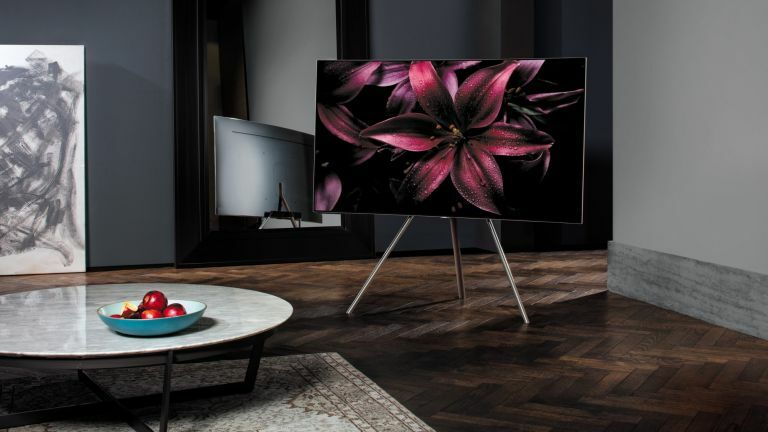 Samsung has gone all out for colour performance with its new TV line-up, which it has dubbed QLED TV (rather than OLED). The new Q7, Q8 and Q9 TVs launched at CES 2017 feature a new metallic material for manufacturing its Quantum Dot tech. The upshot of this is that the new line-up can display an improved range of colour with greater detail. Specifically, they can display the DCI-P3 colour space accurately to express all colours at any level of brightness – with even the subtlest differences visible at peak luminance - between a whopping 1,500 and 2,000 nits. With the new metal-alloy Quantum Dot technology, brightness no longer has to be compromised to boost colour performance, which is also maintained regardless of the viewing angle, how light or dark the scene is, or whether the content is being played in a brightly lit or darkened room (a dim room is usually recommended for full representation of HDR content). There's also a new, transparent 'Invisible Connection’ cable, through which all peripheral devices can be connected to the TV, plus a redesigned Smart View app for smartphones, so you can cue up on demand content via your mobile device. There are also two stand choices, including an easel-style. Check out the latest from CES 2017.